iKure provides telemedicine services to help remote patients connect with medical professionals that are geographically far away to provide diagnosis and treatments. 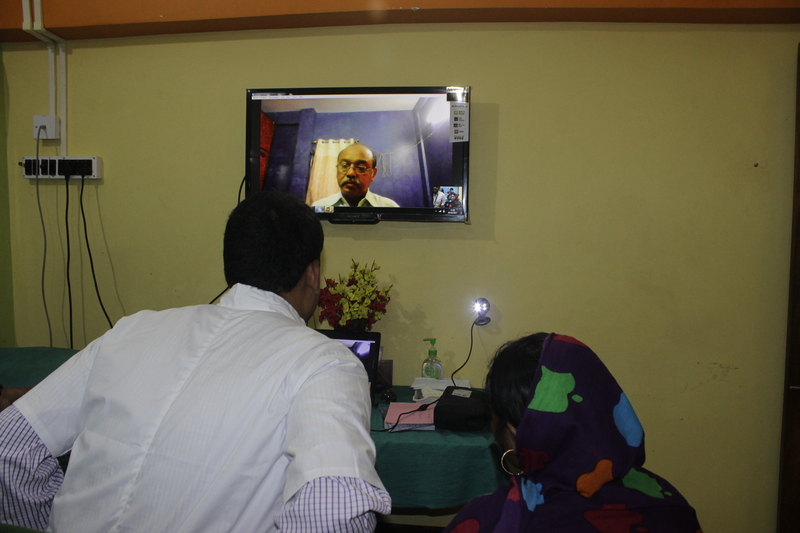 For remote rural settings, where high speed internet connectivity is a hindrance, mobile telemedicine is implemented by setting up video call between rurally situated hub and healthcare professional located in district hospitals. The provision of providing remote healthcare enabled through telemedicine significantly reduces healthcare costs, improve access and reduce isolation caused due to geographic remoteness. Specialist doctors are available for second consultation. The app connects the doctor remotely and the patient can directly interact with the doctors from different geographic locations. Exchange of clinical data: Clinical Data can be exchanged remotely and doctor can give advice based on the data and recommend treatment.